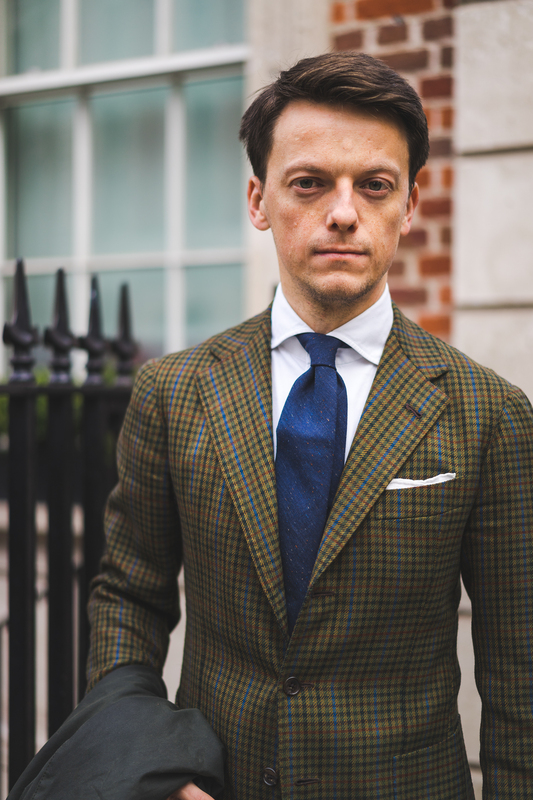 Sartoria Solito bespoke sport coat is one of my recent orders. You can read all about the fittings here (link) but today I would like to review the finished product and show you more photos too. 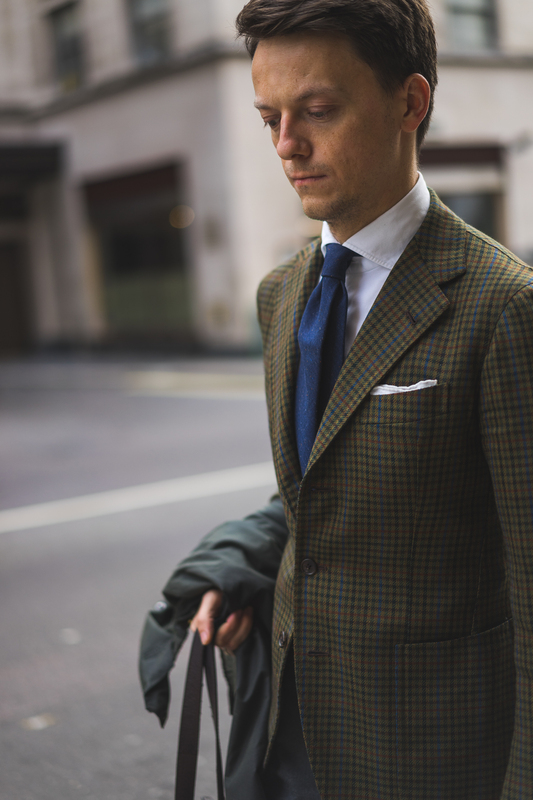 Disclaimer: This post is in collaboration with Sartoria Solito who kindly offered to make the jacket free of charge. I provided the cloth. All views are my own. (for more info about my thoughts on sponsorships please see this post). First and foremost: the fit is really good. 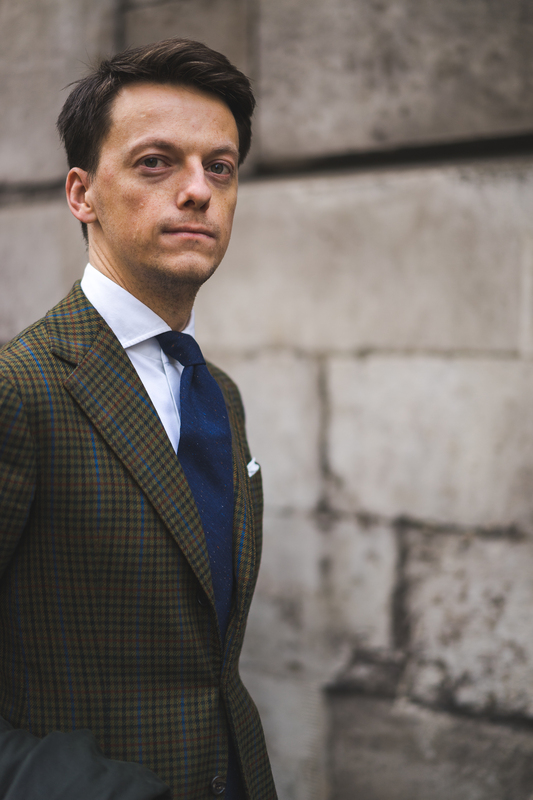 Solito dealt with my right, forward pointing and sloped shoulder like a true master and I received the most comfortable bespoke jacket yet. He outscored other tailors I tried in this regard. Both softness of the canvass and good cut allowed the right arm to feel comfortable again so very well done. The cut is lovely, true Neapolitan. 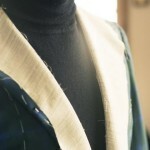 One of the features is the higher collar. The jacket seats significantly higher in the back compared to others. It also allows for putting it on more easily. It sits tighter and more firm on the back because of slight inclination to the front. 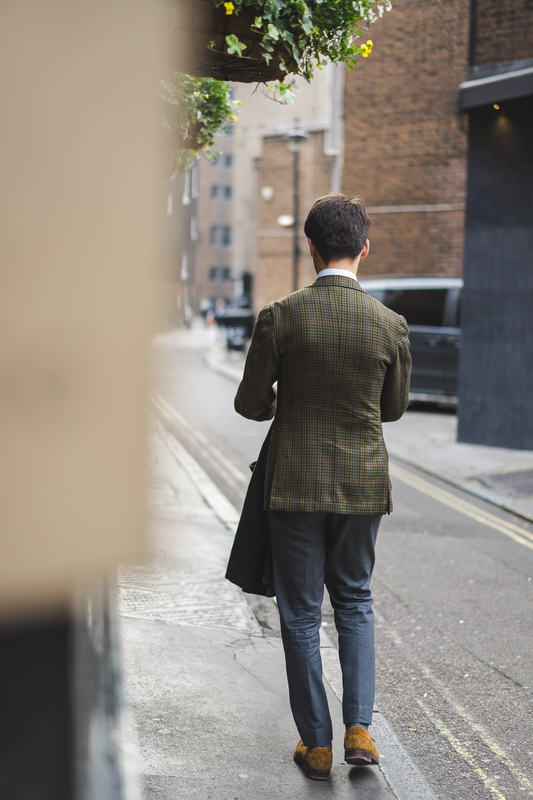 If you look from the side you see this very characteristic Solito sport coat look where the back is just a bit shorter than the front. As you can also see on the photo below, the back is clean with a distinctive wide sleeve heads. This perfectly shows how comfort and free movement is achieved. Sleeves themselves are also a bit wider in the upper part than my other orders. It means that they dont pull when arms are moving. The jacket doesn’t move when I move my arms either. Collar firmly sits in place at all times. 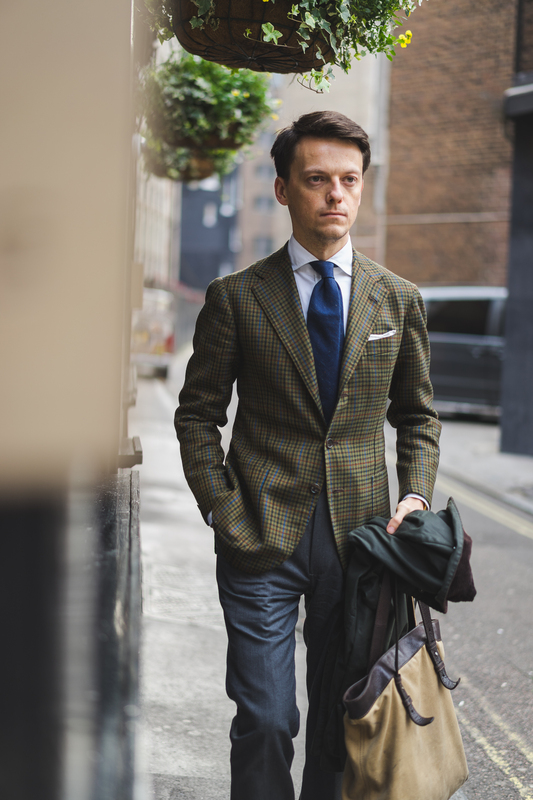 It is a very important aspect of fit that Sartoria Solito dealt with and executed perfectly. The chest canvass and shoulders are both very soft. I think it is the softest I have tried (does not necessary mean that it is always better/worse). 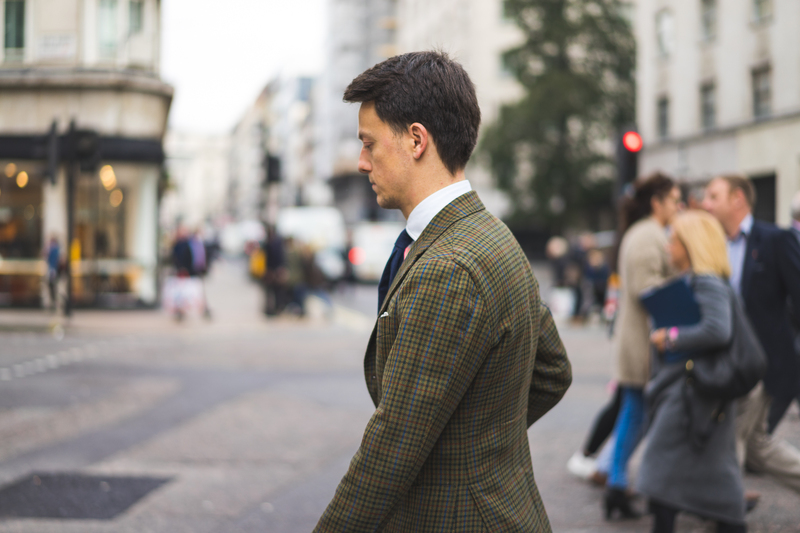 The jacket has a lovely shoulder line with the ends sloping very gently through the spalla camicia sleeve. On the front the jacket has a beautiful 3-roll-2 buttoning with rather high roll. 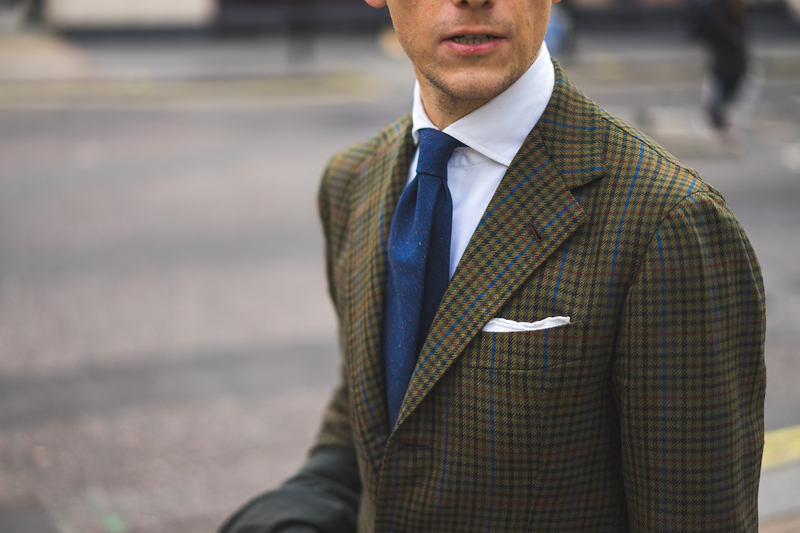 It is a stunning stylistic feature that I really love in this Sartoria Solito bespoke sport coat. The waist is in perfect position. 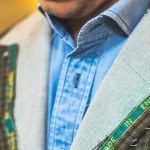 Breast pocket has been made in a classic barchetta shape (yet not as much shape as B&Tailor one) rather than as a patch pocket. 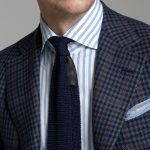 The sleeves have only one button, just as classic Neapolitan sport coat. Small but interesting detail. Still haven’t decided whether side pocket are positioned just a bit too high, or maybe they are a little to big for my liking. It would be easier and more comfortable to access them if the opening was a bit lower. 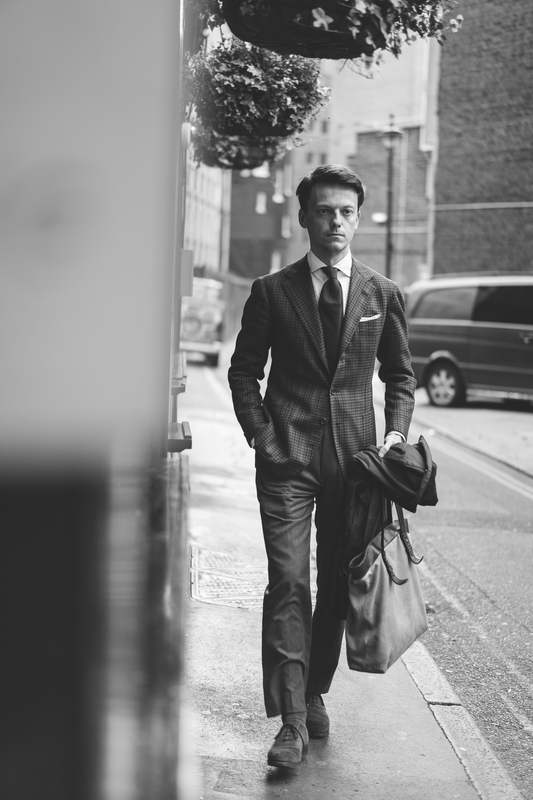 When considering proportions of bespoke garments and the overall appearance we have to remember that it varies so much from one person to the other and it is influenced by so many aspects that it is very difficult to specify the “perfect” line. Our perception also changes in time, as well as our preferences. While it may seem to short/long in the beginning we get used to certain look and it is ok later on. I think the jacket is at the shortest possible length for me and it would not harm if it was 1-1.5cm longer, possibly. 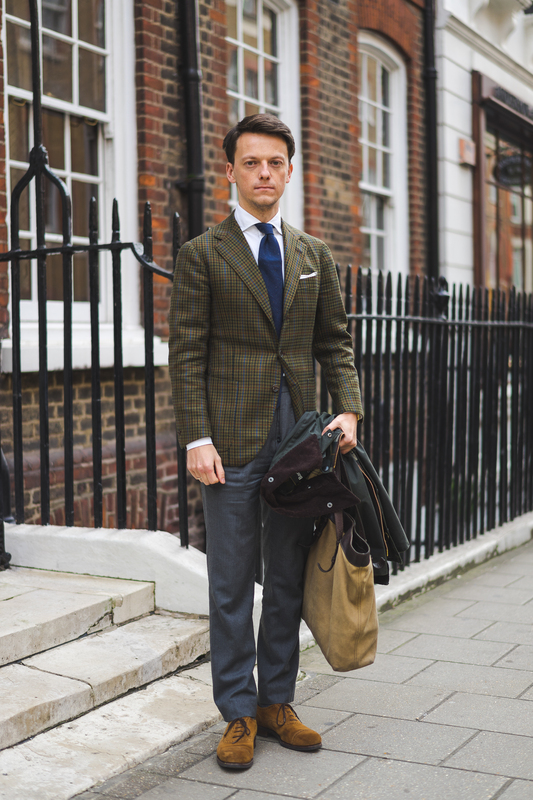 It is a very thin line between fine proportions (especially for trained, demanding eye), style and jacket that is too short or long. 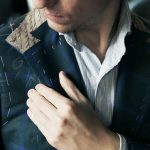 In bespoke, initially I would trust the tailor and eventually share my preferences, as they always are helpful to the craftsman. Details are very nice. Buttonholes are very neatly finished and and the pick stitching (single line in my case) regular, yet not very much visible. 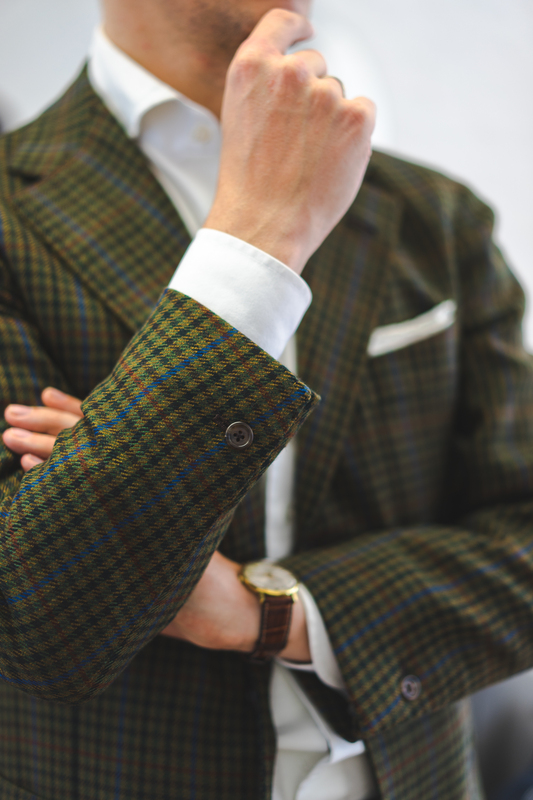 Overall the experience of ordering bespoke sport coat was very timely and relatively fast from order to finish (for a bespoke tailor). 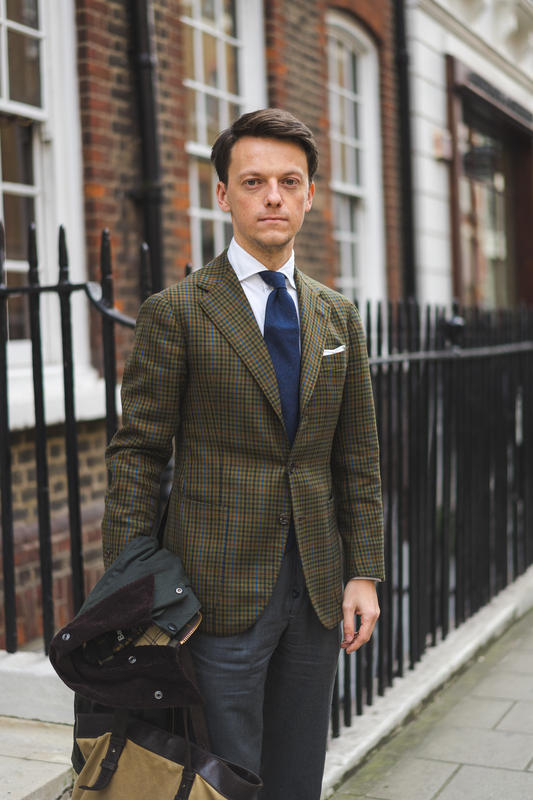 Luigi was visiting London in planned 6 week intervals and the jacket was at the next stage of each respective trunk shows. It makes it only a 6 months for a bespoke piece. I consider it to be very quick. As you could see on my first fitting the jacket arrives quite advanced. Then from 1st to 2nd there is a huge diference and it almost feels like it is finished at the 2nd. All those bespoke nerds won’t be happy though that the experience is finished so soon. 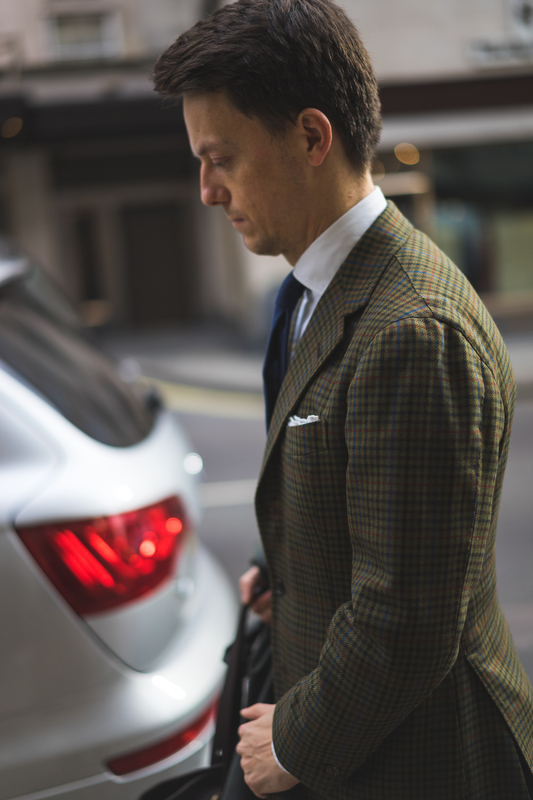 Fittings being relatively fast paced, this Neapolitan bespoke sport coat experience finishes quickly. It is unfortunate as it is one of those very enjoyable things to do. 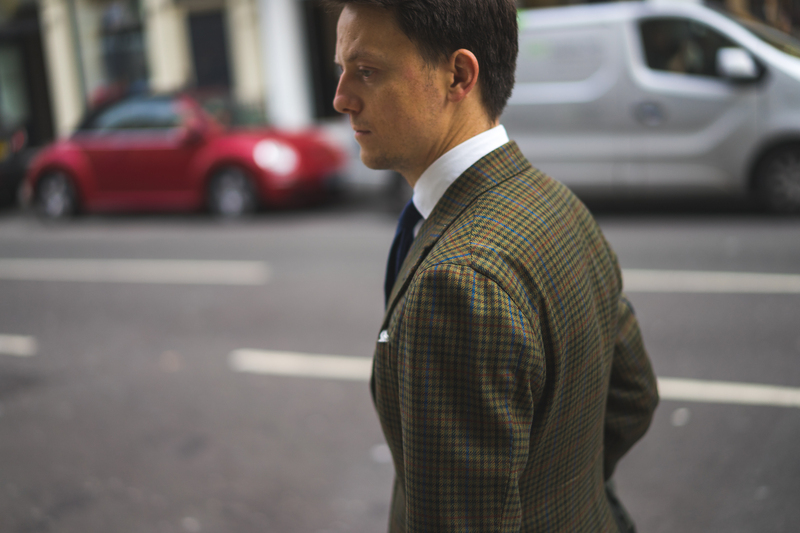 My Sartoria Solito bespoke sport coat turned out beautifully for me and it is a very easy recommendation. 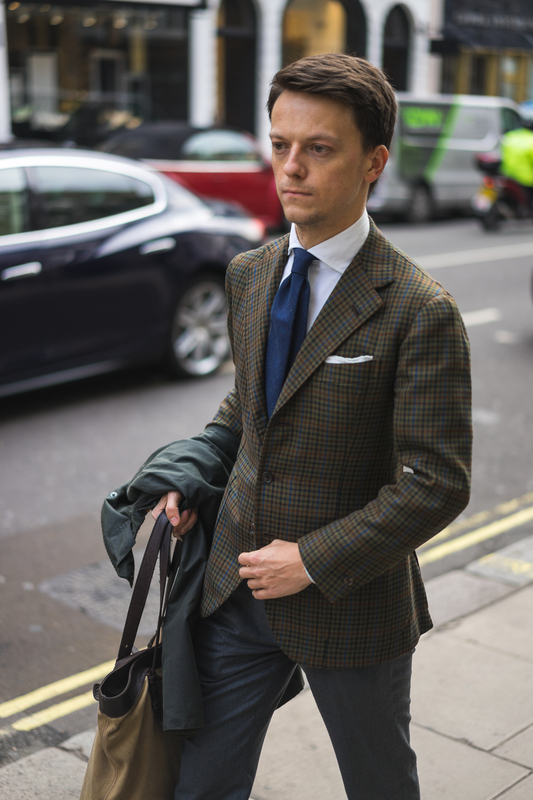 Solito with prices starting at 2500€ for a suit is also one of the best values in the market for bespoke garments especially amongst those who travel to London so often. Please see more photos below! As always, thanks for reading.